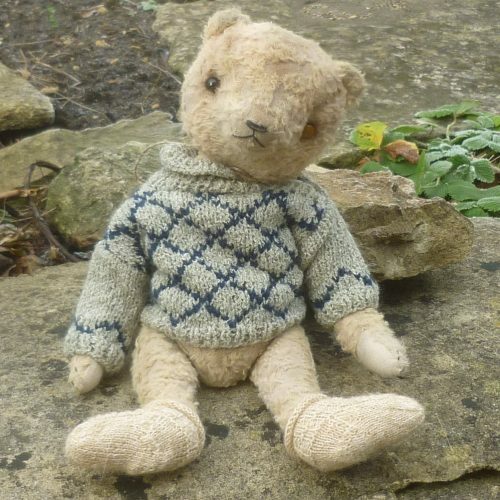 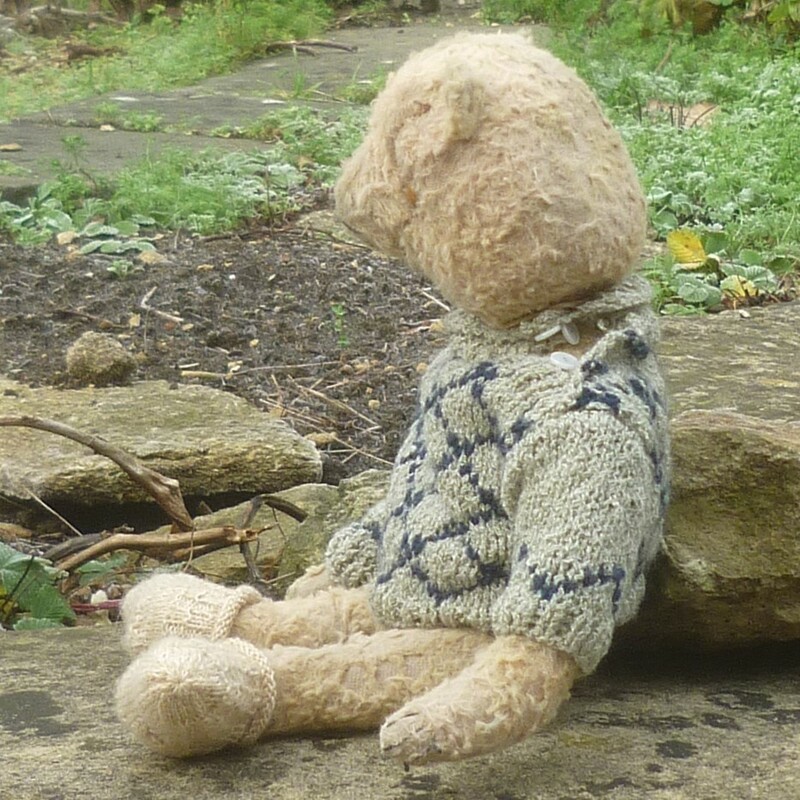 Made of soft and hand-plucked, pale beige viscose, this bear looks much-loved and very old. 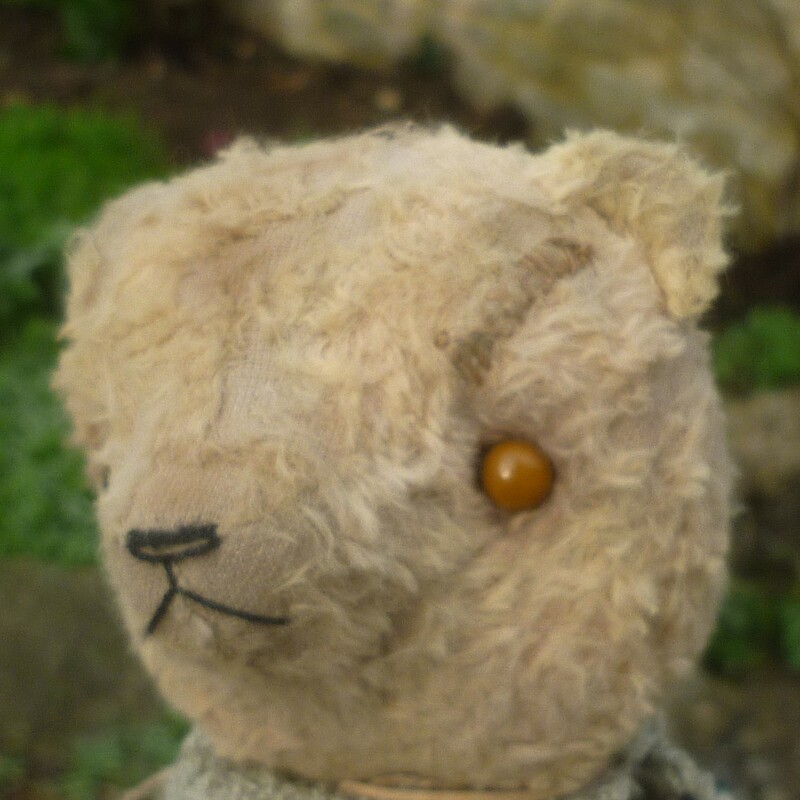 One of his vintage shoe button eyes is black and the other pale brown. 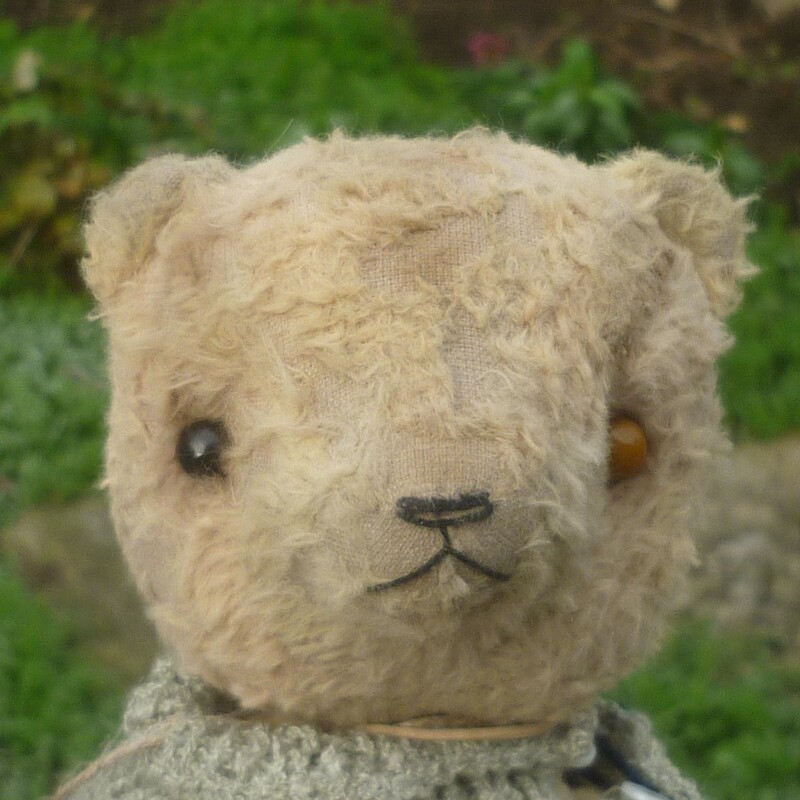 He has linen paws. Flynn wears a hand-knitted roll-top sweater and knitted socks. 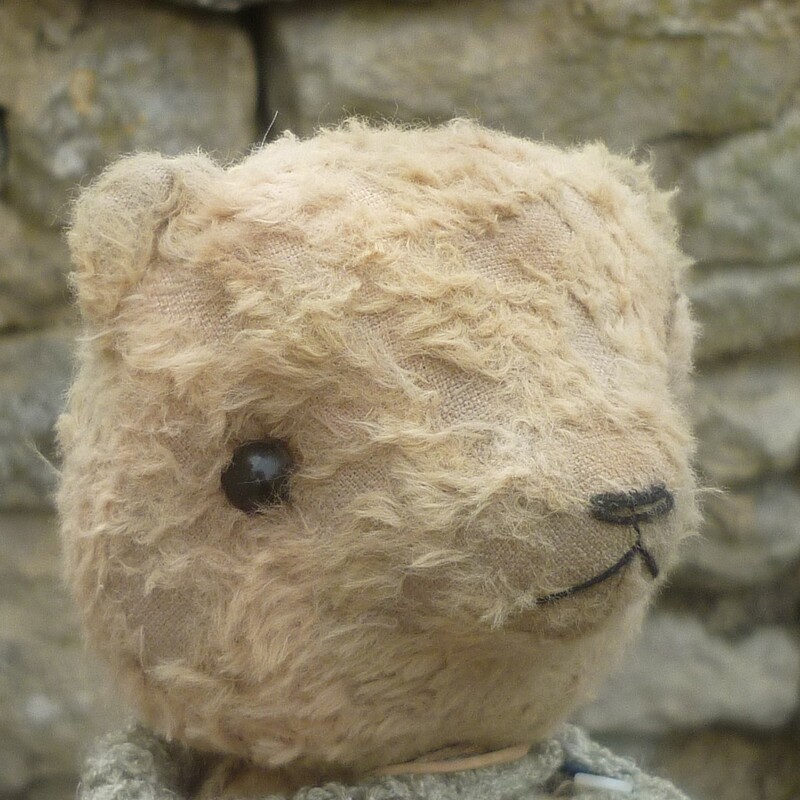 He is softly filled with wood shavings, with mineral and steel granules added for weight and texture.